The sitting members of the Friends of Dance at The University of Mary Washington are a collection of Mary Washington College and University of Mary Washington dancers and instructors. Our goals focus on supporting current and prospective dance students at UMW, uniting the dance community on campus and in the Fredericksburg community, and awarding scholarships to dancers who showcase outstanding commitment to dance in the UMW and Fredericksburg communities. As a collection of dancers united by Fredericksburg and Mary Washington College, the core members of the Friends of Dance formed in Gail Conway's living room in a discussion to promote dance classes to students at the college. The result endowed a scholarship for students who excelled in dance, in hopes that dance classes would continue to foster creativity and dance on campus after the Board of Visitors voted to phase out the dance major in 1993. 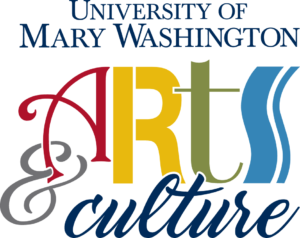 William and Virginia Quirey, Jr.
We are incredibly thankful to all of our donors and contributors to the community of dance at the University of Mary Washington and Fredericksburg. Thank you.